Small business owners looking to exit their business have a range of options available. Picking the right one depends on a range of factors, including tax effectiveness. 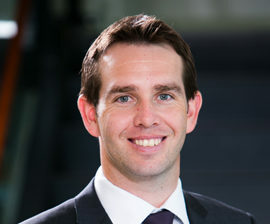 As part of Cooper Grace Ward’s commercial team, Clinton advises his clients on an extensive range of commercial and corporate matters, business mergers, acquisitions and sales, tax and structuring issues, self-managed superannuation, asset protection and succession, restructuring and exit strategies. He is passionate about ensuring his clients receive the most accurate, cost effective and commercial advice. Clinton is an accredited specialist superannuation adviser with the SMSF Association and is a highly sought after speaker who regularly presents at seminars and conferences on a range of topics for the Tax Institute, the Television Education Network, the Queensland Law Society, SMSF Association and Institute of Chartered Accountants.